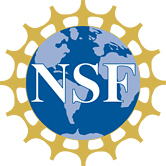 On June 22, 2017, the National Science Foundation (NSF) will host a free webinar focusing on broadening participation in STEM. Hosted by the Directorate for Education and Human Resources (EHR), webinar presenters will discuss funding opportunities specifically aimed at minority serving institutions and underrepresented groups in STEM. NSF Program Officers from all four divisions of EHR will participate in the webinar. Programs highlighted include Inclusion Across the Nation of Communities of Learners of Underrepresented Discoverers in Engineering and Science (INCLUDES), Louis Stokes Alliances for Minority Participation (LSAMP), LifeSTEM DCL, Innovative Technology Experiences for Students and Teachers (ITEST), HBCU-Undergraduate Programs (HBCU-UP), Graduate Research Fellowships Program (GRFP), Robert Noyce Scholarship Program, EHR Core Research, Improving Undergraduate STEM Education (IUSE), and more. The webinar takes place June 22, 2017, from 12:30 – 3:00 PM EST. The webinar is FREE; however, participants must register. If you are interested, click here to register now. The freedom that research support brings is particularly important for radical scholars of color, writes Victor Ray, who gives advice on how to obtain it.